Crait Pointe Shoes-Past Or Present? The Crait pointe shoe brand leaves many more questions than answers (at least for me). Going online to find some information about the Crait Company netted me a few tidbits of information. I learned that the Crait brand name had its beginnings in France in the early part of the 1800’s. A French cobbler by the name of Crait took his pointe shoe manufacturing to Paris in the 1850’s. 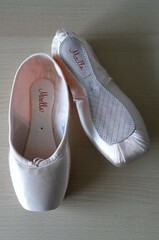 In the 1870’s Crait was the official pointe shoe supplier for the Paris Opera Ballet. Further investigating on the internet showed a possibility that the Crait name brand was taken over by another great French Company, Repetto. That would make the Crait pointe shoe discontinued. When did Repetto take over the Crait Company? Why is there so little information about this historical dance wear company in the ballet world? Could the Crait Prestige pointe shoes in this photo be decades old? Is there a possibility that Repetto still makes the Crait model? 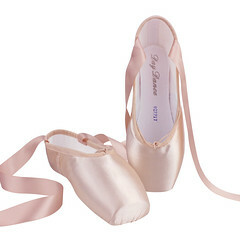 I find these pointe shoes to be so beautifully French and so totally mysterious! 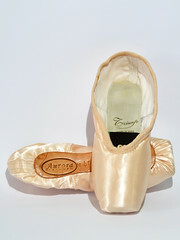 If any of you know something about the Crait pointe shoe brand, please feel free to comment. I would love to know more about them. 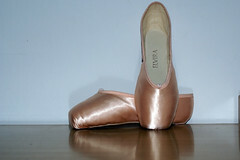 This entry was posted in Mystery Pointe Shoe Brands and tagged Crait pointe shoes, Crait Prestige, French pointe shoes. Bookmark the permalink. 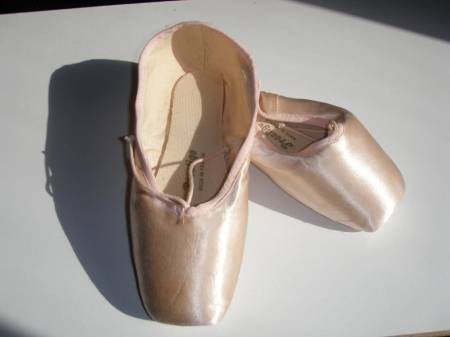 I have a pair of old Crait pointe shoes and I’d love to know more about them too. Have you found any new info about the brand? This brand still leaves many questions unanswered. The only new information I have is finding this shoe listed as being made by a J. Crait of Paris. If I knew what the J stood for, I might have a better chance of finding something more. 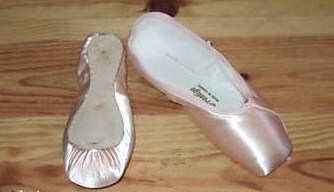 I still find many sellers of vintage Crait ballet shoes that are listed as “Repetto et Crait” when describing the maker. I also see leotards and other dancewear sold under the Crait brand name which is even more baffling. Repetto is a very difficult company to make contact with and is not forthcoming about letting the public know more about the brands they take over. It may be easier to research this in a library that has historical text about The Paris Opera Ballet and that may contain biographies of their commissioned shoe makers for the dancers of that era. Emailing to ask The Paris Opera Ballet for any history about J. Crait is a possibility I will consider. Getting responses from these companies is even more challenging than researching brands for this blog. 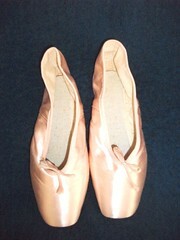 I used Crait pointe shoes back in the late 70’s, when I was dancing in Brussels. 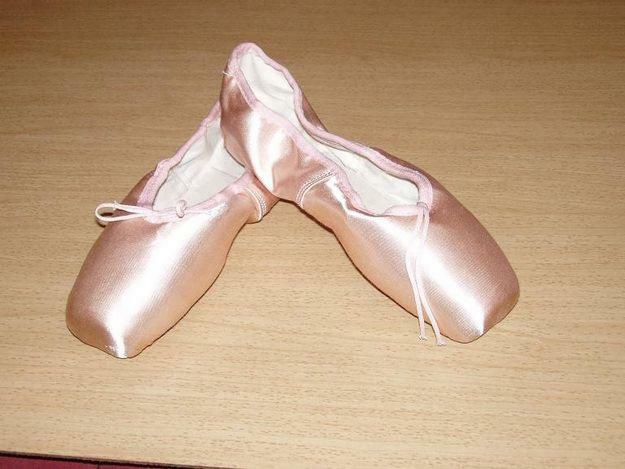 I used them for tough class work, because they were so hard they lasted for ages, unlike my Freeds/Gambas/Capezios that I saved for stage performances. Unfortunately, I don’t have any of them anymore. They were almost unbreakable, really good for repetitive work. 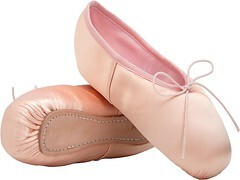 Repetto were too easy to break for me. I’ve just come across your page and was really interested in your Crait search. I’m French and my first pair of pointe shoes ever were Crait, back in 1982 I would say. My first tutu from the same period was also from Crait. And I think some of our leotards and tights as well. They had a beautiful logo with a ballerina using the T as a barre to perform a stretched arabesque. I was desperately trying to do the same…. As the shoes were so hard I had broken in the shank with my hands and as a result they were laying flat in a perfect square angle, which amazed all my classmates! At the time, it was either Crait or Repetto, they were no other brands available. Unfortunately, I didn’t keep the pair. It was my first and only Crait paire of pointe shoes. 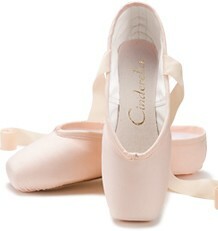 The brand got discontinued somehow after that and we only got Repetto pointe shoes till the end of the decade! What a shame about those pair of Craits you didn’t keep, but I love the square angle broken shank adventure they had.